Here’s how to install Google Assistant on your non-Pixel Android device right now even before Google’s Pixel and Pixel XL release. 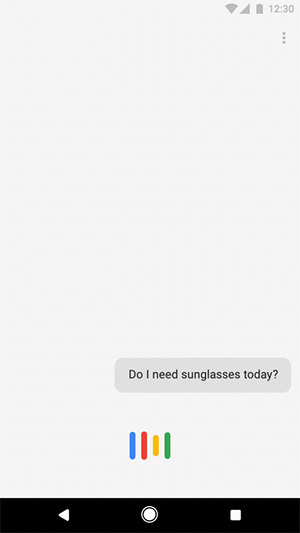 Google Assistant may be a unique selling point of Google’s new Pixel and Pixel XL smartphones and will officially be not available on non-Pixel Android phones, but that doesn’t mean that it’s entirely impossible to get access to it on unsupported hardware. As is always the case, if the community wants to use and interact with something that Google, or any company for that matter, doesn’t officially sanction, then that doesn’t instantly mean that it isn’t possible. So, If you have a rooted Android Nougat device, then it’s perfectly possible to try out everything that Google Assistant has to offer. Here’s what you need to to do. Step 1: First up, you will need to ensure that you’re actually running a compatible version of the Google app on your device, and by compatible, we mean a version of the Google app past version 6.5.35.21. Step 2: Next, you’re also going to have to make sure that you are running a rooted Android device, and that the device in question is running Android 7.0 Nougat at the very least. This has been tested to work on a Nexus 6P, 5X, and 5 but it should be functional on any rooted Android device as long as it is running Android 7.0 and up. Step 3: This is where the rooted element comes into play. You’re going to need to make some changes to the underlying build.prop file, which is basically an internal properties file that lives within the /System folder in the root drive. You will need to have a file explorer app such as ES File Explorer installed to navigate to this root folder and make changes to the file. Step 4: Once the above changes have been made, save the file and exit out of editing. You will now need to entirely reboot the device. Step 5: Once rebooted, in Settings, clear all Data and Cache for the Google app. That’s it! 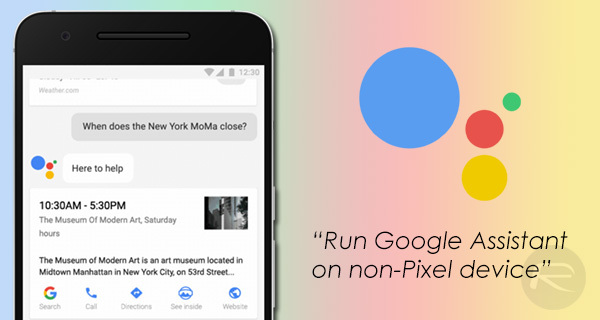 You’re all set to fire up Google Assistant on your phone. Access to the service should now be possible via a long press of the Home button on the device. As we’ve previously mentioned, this technique has been successfully tested on a Nexus 6P, 5X, and 5 running Android Nougat, but there’s no reason why it shouldn’t actually function on all rooted Android Nougat devices, such as the Nexus 6, among others. As you can tell from the build.prop edits, there’s nothing unique that actually ties this new functionality directly to a very specific device type. Requires root, which the title conveniently doesn’t state. Lame. Seems to break some functionality that was in Google Now such as interfacing with Nest to control the thermostat. I give up….Just what is Google assistant?? Perhaps a little background??? That would be great.